AC/DC were inducted into The Age Music Victoria’s Hall Of Fame in Victoria, Australia on November 20. The Age reports the 10tth anniversary event at the Palais Theatre in St. Kilda saw the band honored as one of 10 inductees including the Seekers, Olivia Newton-John, the late radio DJ Stan Rofe, the Palais Theatre and Archie Roach. 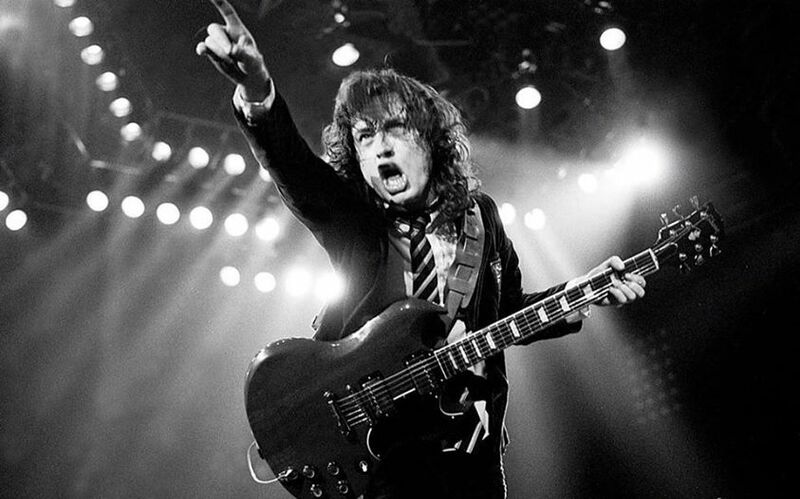 In a statement, AC/DC lead guitarist Angus Young said it was "an absolute honor" to be recognized in the 10th year of the Hall of Fame. "Victoria has a special place in our hearts, especially the early years of the band. Thank you for the induction into The Age Music Victoria Hall of Fame." Music Victoria chief executive Patrick Donovan said AC/DC became "a sensation on Ripponlea-based Countdown as soon as the show exploded colorfully onto national TV" and soon launched themselves on the world. AC/DC were not available for the awards event as they were preparing for a November 21 concert in Adelaide as part of their Rock Or Bust world tour. John Farnham stepped in to perform AC/DC’s 1975 classic “It’s A Long Way To The Top (If You Wanna Rock N Roll)” at the show, which also saw guest performances from Paul Kelly, Normie Rowe, Brian Cadd, Mark Seymour and Grinspoon's Phil Jamieson, who opened the show with Vika Bull singing the Rolling Stones' “Gimme Shelter.” The Stones played at the Palais in 1965. Will Rock Or Bust be AC/DC’s final tour?